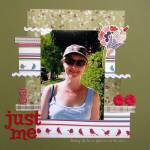 I love this Heidi Grace paper so was happy when I found another layout I could use it on. How beautiful they are.. thanks for sharing Karen. Oh WOW! You've cut them out so meticulously, too! Well done, Karen. 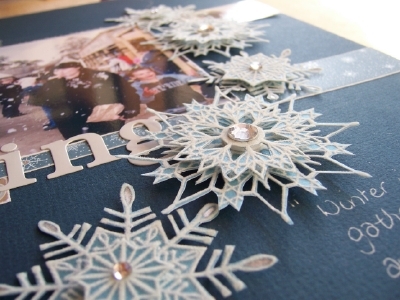 The snowflakes are just beautiful.Love the way you have layered them for extra effect. They look stunning, how patient are you!! Are you saying you handcut these? They are beautiful and I love the 3D effect.